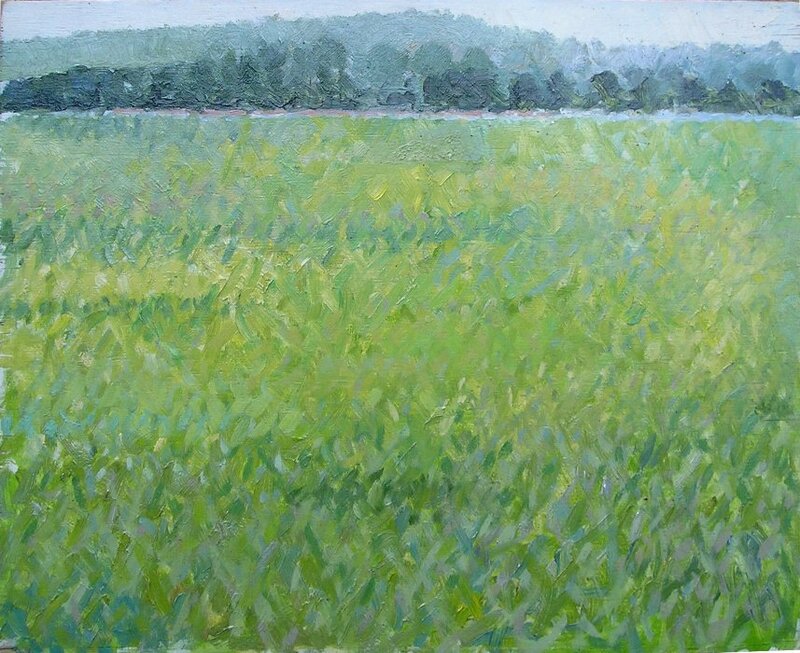 Port Meadow has been a place I’ve been in, played in, painted, loved for most of my life. I lived near it as a boy. 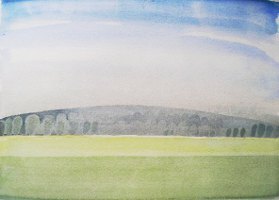 It contained two opposite landscapes. The seemingly untouched watermeadow. Home to lapwings and skylarks. Wintering ground for duck and geese. The Eastern side though had been the city dump since the 19th century. The willow boundary marked the raised ground at various times dump and allotments. A stinking place. Layering earth and household waste. Inhabited by sea gulls, tramps, refuse workers and small boys looking for treasure. of the environment. I continue to try to paint it. At present ( 2011 ) I seem to concentrate on the purity. The otherside though is an ongoing project.